Videostill:" “When Hyena’s and Blackbirds meet" (2012). 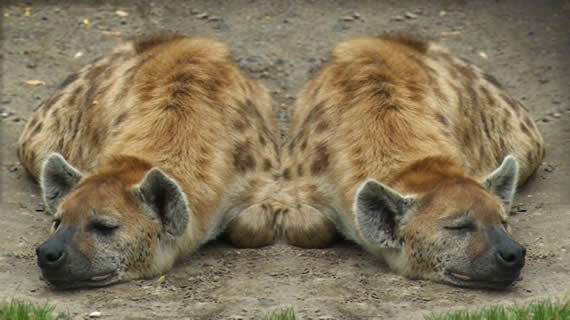 The video shows two hyenas that are resting. Only their ears move to catch the whistling of the birds in the environment.